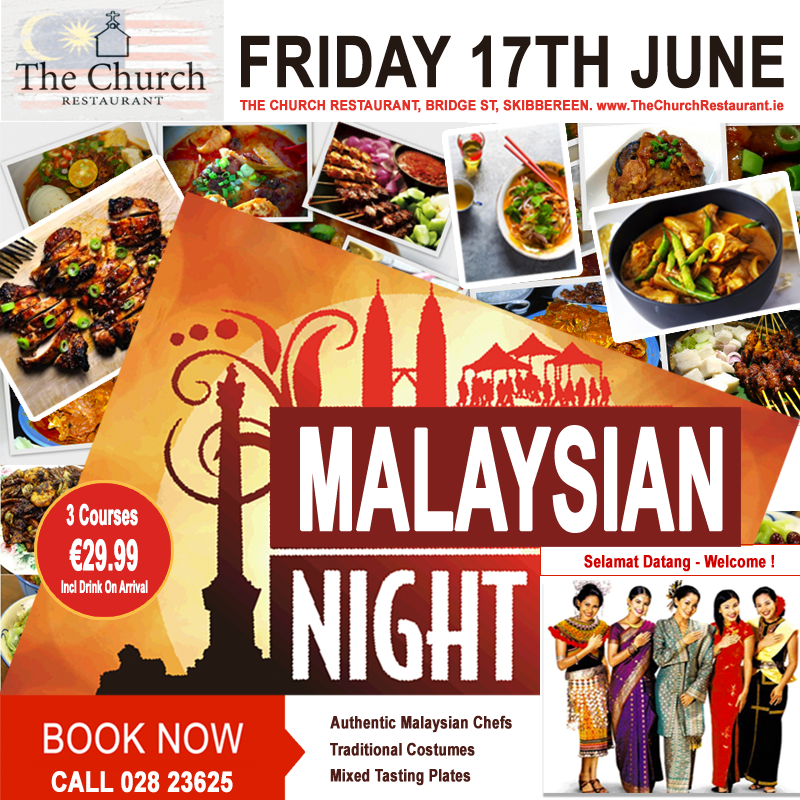 Experience the flavours of the Orient at The Church Restaurant Friday 17th June. Our very own Malaysian Chefs will be taking your taste buds on a journey through some of Malaysia’s most famous and favoured dishes. A food experience not to be missed.